26. Remote sensing surveys - resistivity. 28. 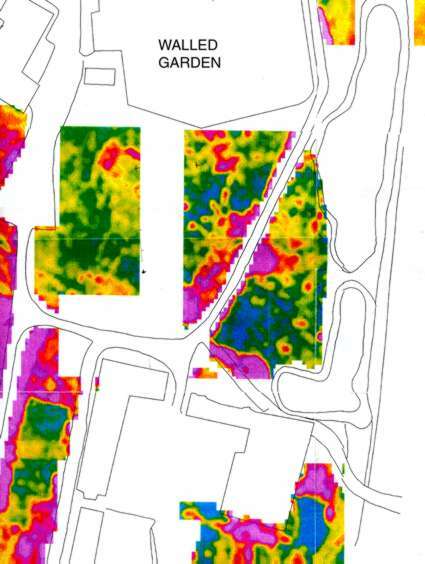 Resistivity profile of the central green at Cressing Temple by Geo-Services International. This appears to give the most detail but like all the other scans has an hiatus in the centre of the green. This was due to lack of funding to repeat the Bradford Geo-physics surveys.